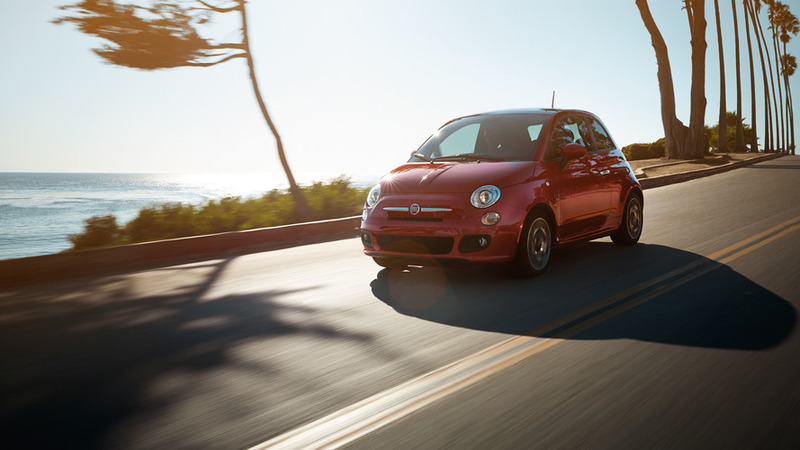 After being caught on camera multiple times with very little camo, the 2015 Fiat 500 facelift is now making its official debut. 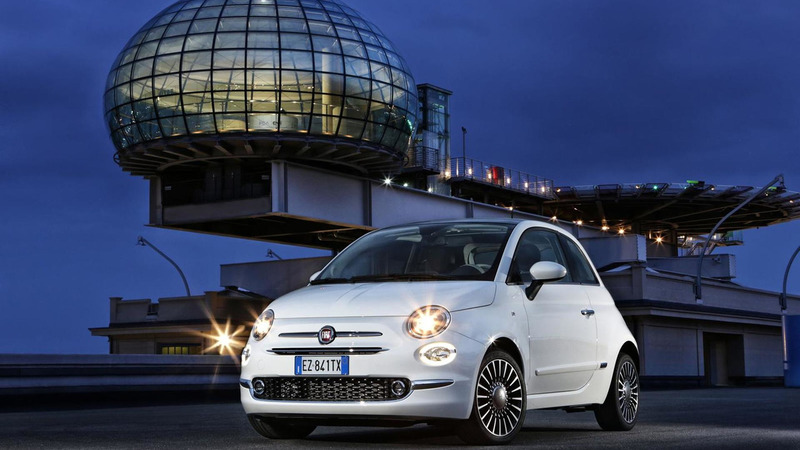 Despite being billed as the "New Fiat 500", the cute Italian city car is basically a facelift for an 8-year-old model and now has received a whopping 1,800 design changes, although most of them are really hard to spot. Among the most important tweaks are the revised headlights which now have a more dynamic slant and there are also new circular LED daytime running lights. In addition, the trapezoidal nose stands out more due to the more pronounced ribbing and comes with so-called whiskers in chrome that flank the Fiat badge. More chrome is noticeable on the lower grille which on the Lounge version also comes with chrome-effect buttons for a more posh look. Moving at the back, Fiat has redesigned the taillights that now have a ring-shaped structure with body-colored centers. They also moved the fog and reversing lights to the edges of the new bumper trim which can be had in chrome or black, depending on trim. As far as the side profile is concerned, the beltline is now slightly inclined towards the front while fresh 15- and 16-inch alloy wheels have also been added and are available in various designs. The body can now be painted in the new Glam Coral and Avantgarde Bordeaux colors and there are also fresh black & yellow and black & red combos. Stepping inside, the most important change is the implementation of the Uconnect infotainment system featuring a five-inch touchscreen display available on the Lounge model. There's also a redesigned steering wheel with new buttons and if you go for the Fiat 500 Lounge you can optionally order the 7-inch TFT display in the instrument cluster. Other changes worth mentioning include more ergonomic seats and fresh upholstery options while the 12V power socket has been relocated and they also made some tweaks to the center console and cup holders. In addition, Fiat has added more sound-deadening materials in the wheelhouse and firewall to enable a quieter and more comfortable cabin. In terms of engines, the revised 500 can be had with Euro 6-compliant units working with 5- and 6-speed manual transmissions along with a Dualogic robotized gearbox. Upon launch it will be available with a 69 bhp 1.2-liter and a 0.9-liter TwinAir with 85 bhp and 105 bhp. Later on, the range will be expanded with an eco version of the 1.2-liter along with a 1.3-liter 16v Multijet II turbodiesel rated at 95 bhp. 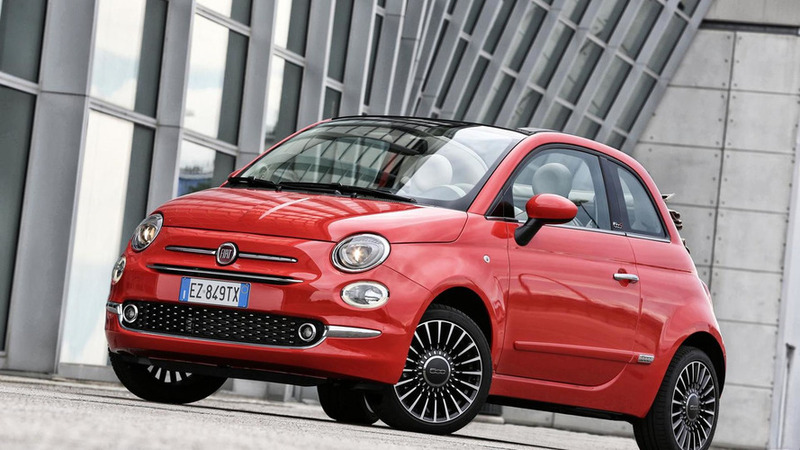 Sales of the facelifted Fiat 500 are programmed to kick off this fall.